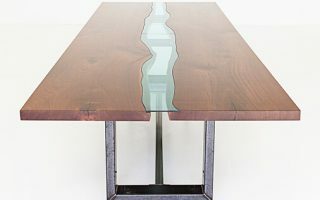 Sloped live edge valleys are created in the center of the table from large slabs of wood. It is within the valley that power and data are integrated into the table and void space accentuates natures design. 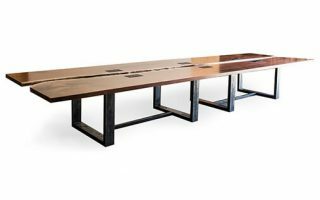 The valley conference table is available in custom sizes, finishes, and wood species. Large cuts of trees formed only by nature rest upon the strong man-made material of steel. Each of these tables is one of a kind and unique due to no tree growing twice. 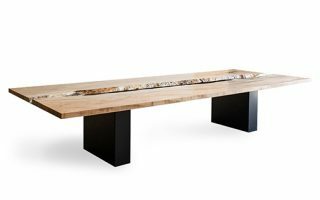 Live edge conference tables are available in custom sizes, finishes, and species of wood.